Hey everyone, this is the fourth article in the series on the most popular commandlinefu one-liners explained. 31. 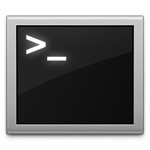 Quickly access ASCII table. Ever forgot a keycode for some ASCII character or escape code? Look no further, man ascii contains the 7-bit ASCII table. Take a look at it online. man 1 intro - a tutorial that gets you started with Linux if you have never used it. man 2 syscalls - lists all Linux system calls by kernel version. man 2 select_tut - select() system call tutorial. man 3 string - lists all <string.h> string manipulation functions. man 3 stdio - lists and describes all <stdio.h> standard input/output library functions. man 3 errno - lists and describes all errno error numbers. man 4 console_codes - Linux console escape and control sequences. man 4 full - /dev/full - a device that simulates a full device. man 5 proc - lots of info about the /proc filesystem. man 5 filesystems - lists various Linux filesystems. man 7 bootparam - a tutorial and reference of Linux kernel boot parameters. man 7 charsets - a Linux programmer's view of character sets and internationalization. man 7 glob - how pathname globbing works. man 7 hier - description of the Linux file system hierarchy. man 7 operator - C language operator precedence and associativity table. man 7 regex - basic and extended regular expression overview. man 7 suffixes - lists common Linux file suffixes and the associated file types. man 7 time - overview of time and timers. man 7 units - kilo, kibi, mega, mebi, giga, gibi, ... - decimal (SI) and binary system of units. man 7 utf8 - description of UTF-8 encoding. man 7 url - description of URIs, URLs and URNs. There are a lot more interesting man pages but these stood out from the rest. This one-liner can be used a simple timer. For example, if you want to time something, you can execute it when the event starts and press the return key when the event ends. It will output the time the event took to finish. Here is how this one-liner works. First the time command times any command that is supplied to it. In this case the command supplied to it is read that reads a line from the standard input. As soon as you press enter, read finishes and time reports how long it took. Now you can press any key to stop the timer. This would stop the timer after 60 seconds. 33. Shutdown a Windows machine. Anyway, the net command comes as part of Samba, which allows you, for example, to use Linux in a Windows workgroup. This particular one-liner executes the shutdown command on a Windows computer located at IP_ADDRESS with as the user username with password password. If you're on an unsecured network, don't forget about the good old nmblookup and smbclient tools that come with Samba. 34. Execute a command independently from the current shell. This one-liner illustrates subshells. Here the commands cd /tmp and ls are executed but they do not affect the current shell. If you had done just cd /tmp && ls, your current shell would have changed directory to /tmp but in this one-liner it happens in a subshell and your current shell is not affected. Surely, this is only a toy example. If you wanted to know what's in /tmp, you'd do just ls /tmp. 35. Tunnel your SSH connection via intermediate host. This one-liner creates an ssh connection to unreachable_host via reachable_host. It does it by executing the ssh unreachable_host on reachable_host. The -t forces ssh to allocate a pseudo-tty, which is necessary for working interactively in the second ssh to unreachable_host. 36. Clear the terminal screen. Pressing CTRL+l (that's small L) clears the screen leaving the current line at the top of the screen. If you want to clear just some line, you can use argumented version of CTRL+l - first press ESC, then the line you want to clear, let's say 21 (21st line), and then press the same CTRL+l. That will clear the 21st line on the screen without erasing the whole screen. 37. Hear when the machine comes back online. Ever had a situation when you need to know when the system comes up after a reboot? Up until now you probably launched ping and either followed the timeouts until the system came back, or left it running and occasionally checked its output to see if the host is up. But that is unnecessary, you can make ping -a audible! As soon as the host at IP is back, ping will beep! 38. List 10 most often used commands. The person who wrote it has the Unix mindset right. He's combining several shell commands to get the result he/she wants. First, history outputs all the commands the person has executed. Next, awk counts how many times the second column $2 appears in the output. Once history has output all the commands and awk has counted them, awk loops over all the commands and outputs the count a[i] separated by space, followed by the command itself. Then sort takes this input and sorts numerically -n and reverses the output -r, so that most frequent commands were on top. Finally head outputs the first 10 most frequent history commands. If you want to see more than 10 commands (or less), change head to head -20 for 20 commands or head -5 for 5 commands. 39. Check gmail for new mail. Gmail is cool because they offer an Atom feed for the new mail. This one-liner instructs curl to retrieve the feed and authenticate as code>you@gmail.com</code. You'll be prompted a password after you execute the command. Next it feeds the output to perl. Perl extracts the title (subject) of each email and the sender's email. These two items are printed to stdout. 40. Watch Star-Wars via telnet. Needs no explaining. Just telnet to the host to watch ASCII Star-Wars. Connecting on port 666 will spit out BOFH excuses. I hope you enjoyed the 4th part of the article. Tune in next time for the 5th part. Oh, and I'd love if you followed me on Twitter!